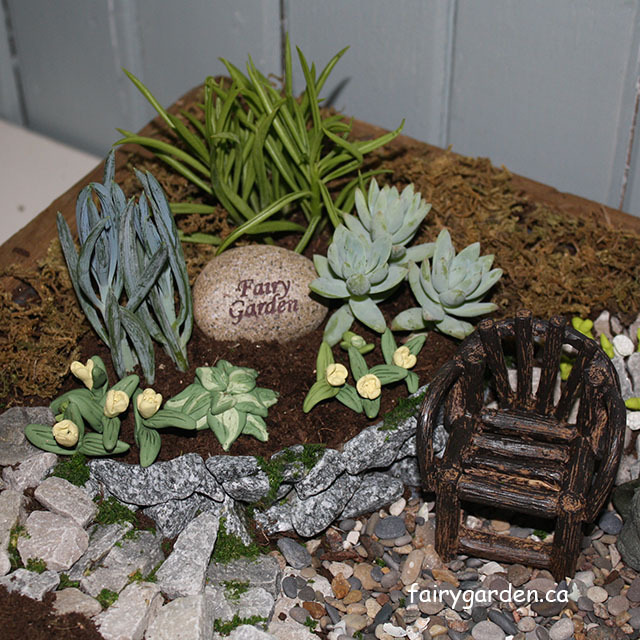 Articles about DIY Fairy Garden activites that do not have projects with instructions. 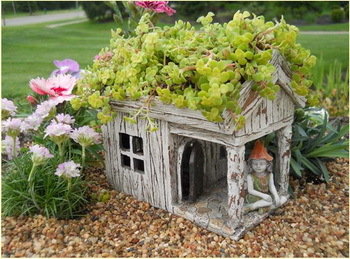 The ingenuity of fairy gardeners in choosing containers for their gardens never ceases to amaze me. Wheelbarrows, logs, crates, shoes…just about anything goes. It’s all part of the fun. 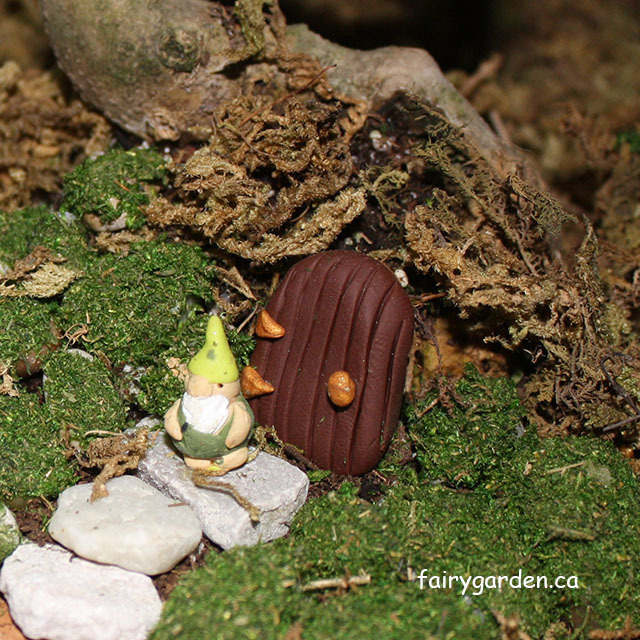 This week at The Fairy Garden I’ve been very busy getting ready for an arts and craft show. My first. I’ve been rushing about gathering items to help me prepare. 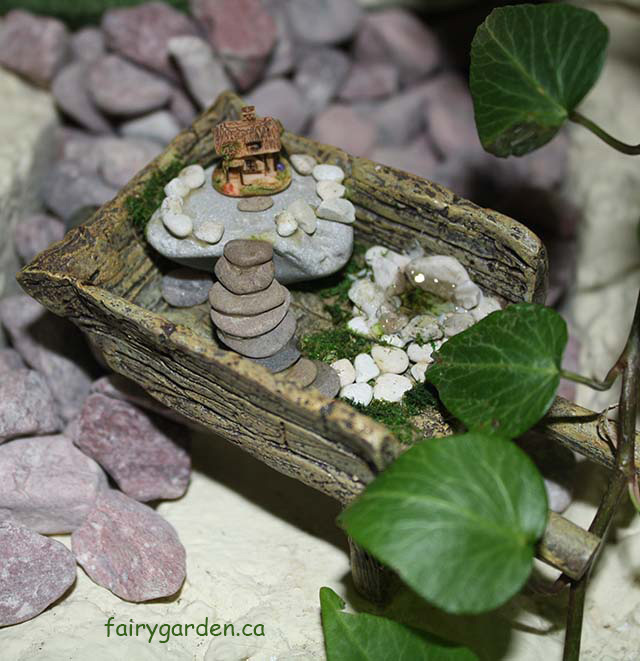 I spent a whole day scouring the second hand shops for likely containers for my fairy gardens. I poked through my own collection of things I’ve dragged home – including one item that I filched from someones garbage – yes I’m one of those. A pink enamelware wash tub. 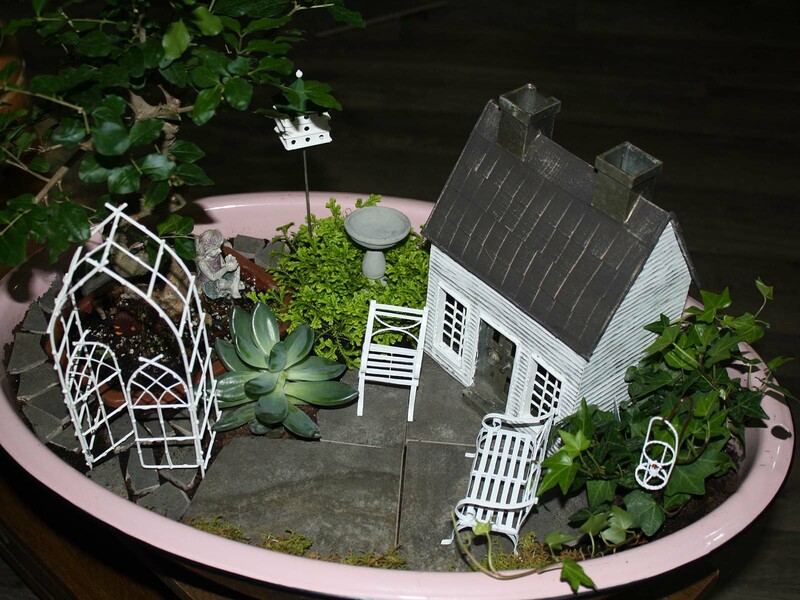 At the shops I found a little chest, a miniature suitcase, an attractive wooden salad bowl and various pieces of glassware suitable for miniature garden terrariums. My rule is to pay no more than five dollars. 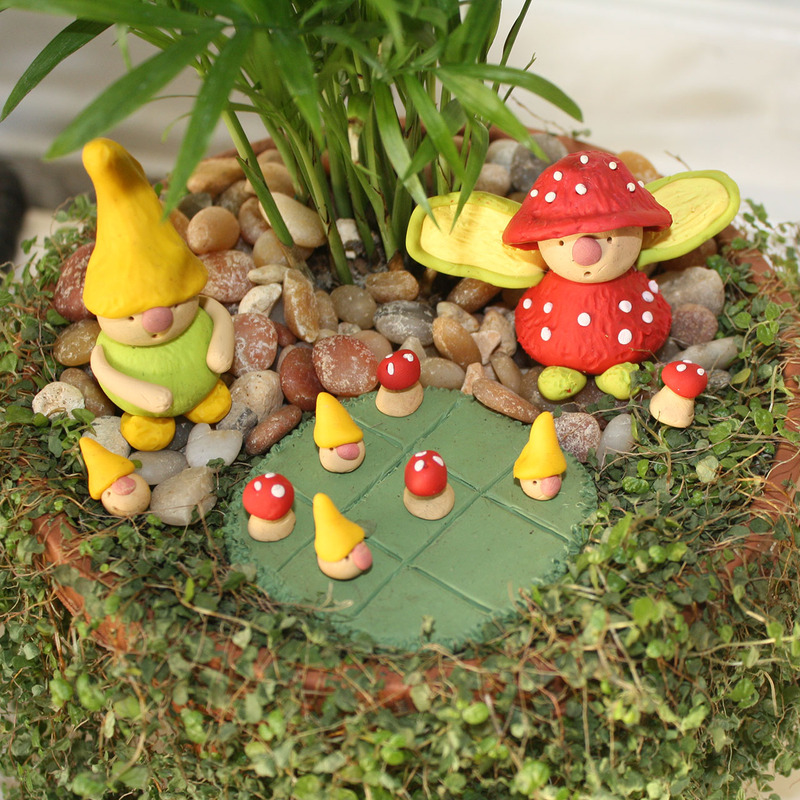 The hunt is all part of the fun of fairy gardening and it allows me to make some little gardens with attractively low prices. 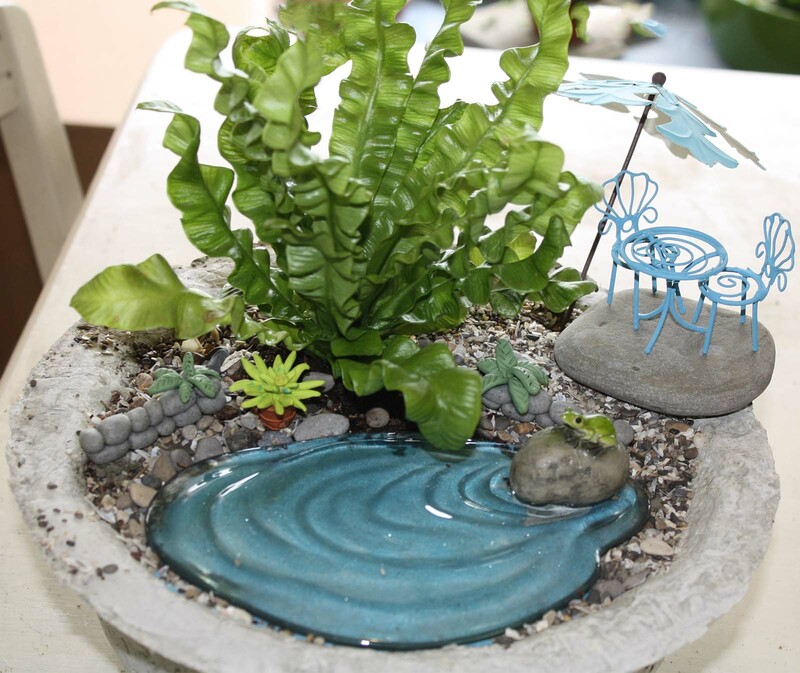 My goal was to have at least two miniature gardens that I could sell for under twenty five dollars. 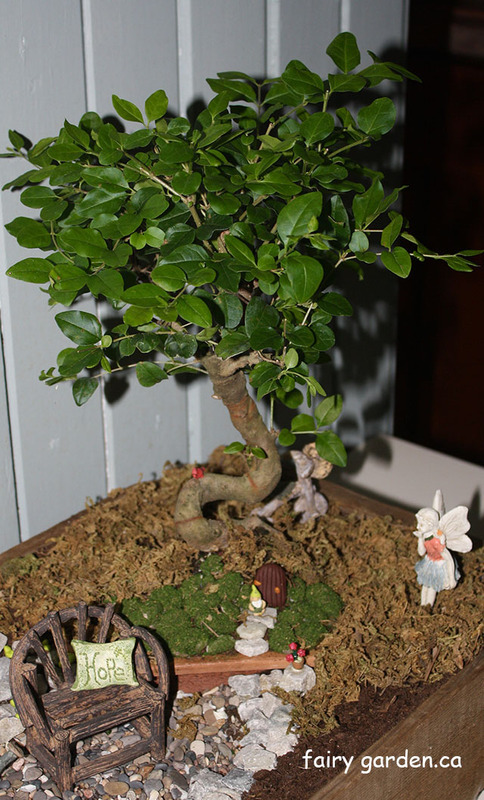 By using my re-purposed containers and decorating with handcrafted items I manged to accomplish this. 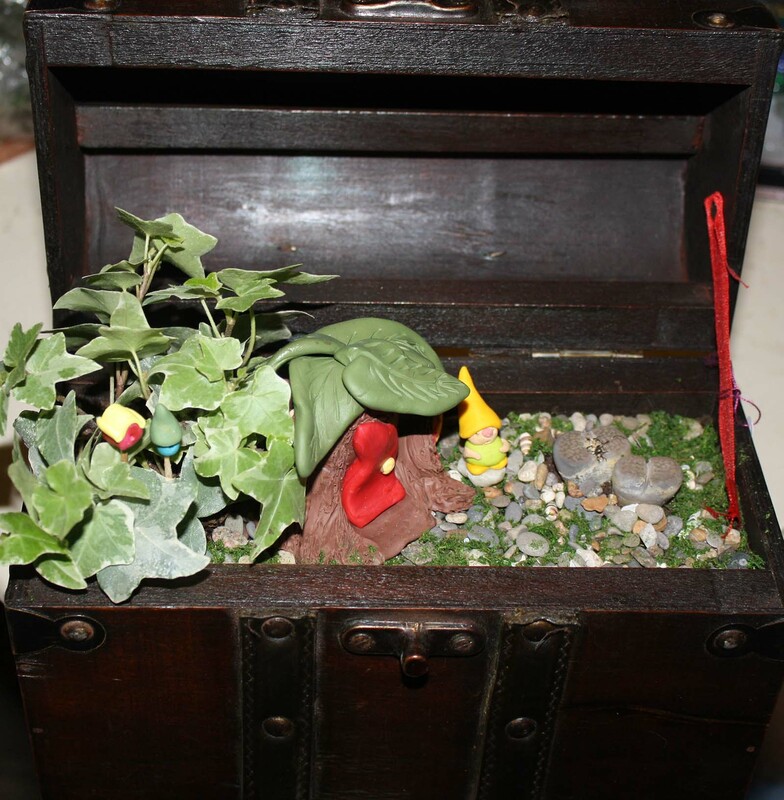 Happy hunting…and, as always…have a fairy good time. 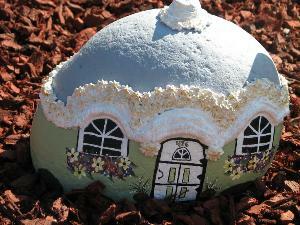 Fairy Gardens are all the rage right now and what’s a fairy garden without a fairy house? 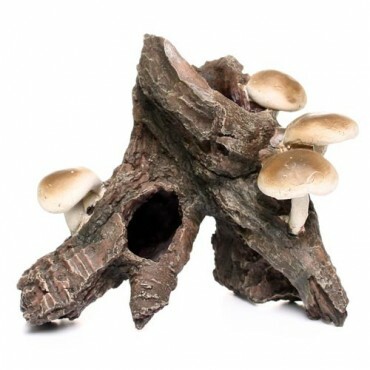 Of course you can buy fairy houses, and there are some very unique and whimsical ones available at my store located on www.fairygarden.ca (Gotta plug me right?). 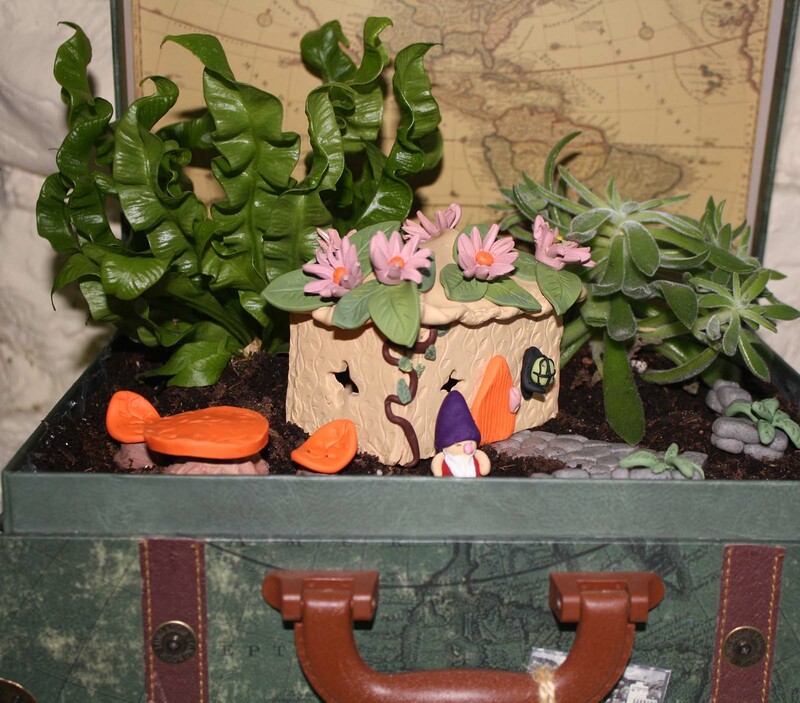 However………fairy gardening is a DIY activity and so – no surprise – fairy gardeners want to know – How do I make my own fairy houses? 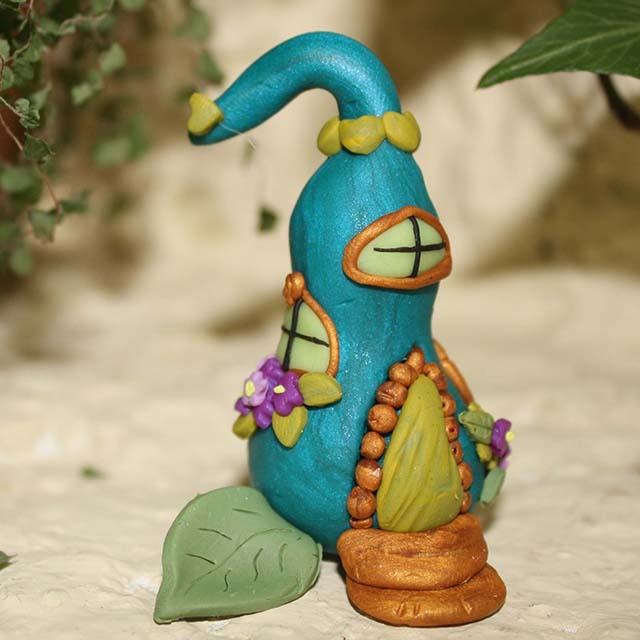 There are as many ways to make fairy houses as there are people who want to make them! Imagination is key. Here are some ideas to get you inspired and start your creative juices flowing. This is the perfect time of year to start this project. 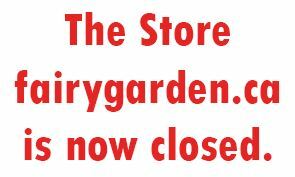 You will need a dried gourd. 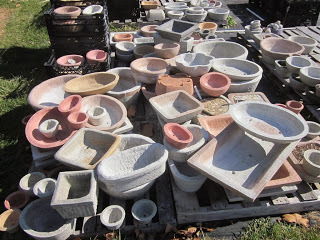 There may be garden markets, farms or friends that have some left from the fall season. Gourds take about 2 to 3 months to dry. 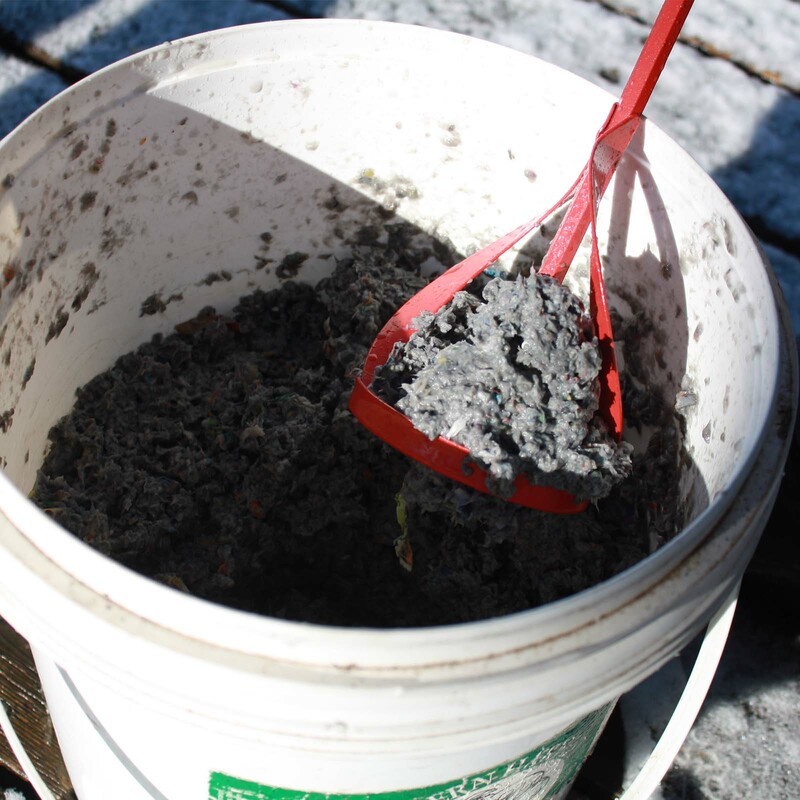 Remove any dirt or debris and hang them in a dark dry area for drying. 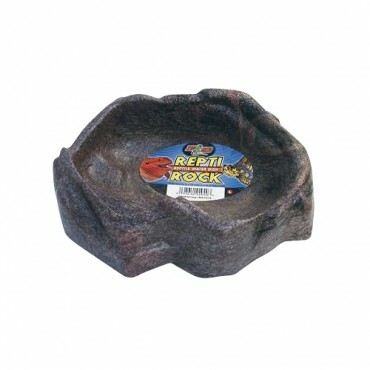 When they are properly dried they will sound hollow when you tap on them and you may hear dried seeds and such rattling about when you shake them. 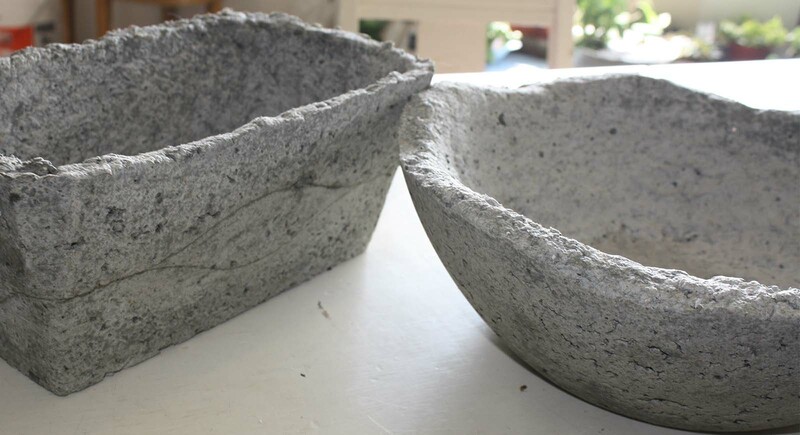 Clean the dried gourd with a stiff brush and some mild soap. 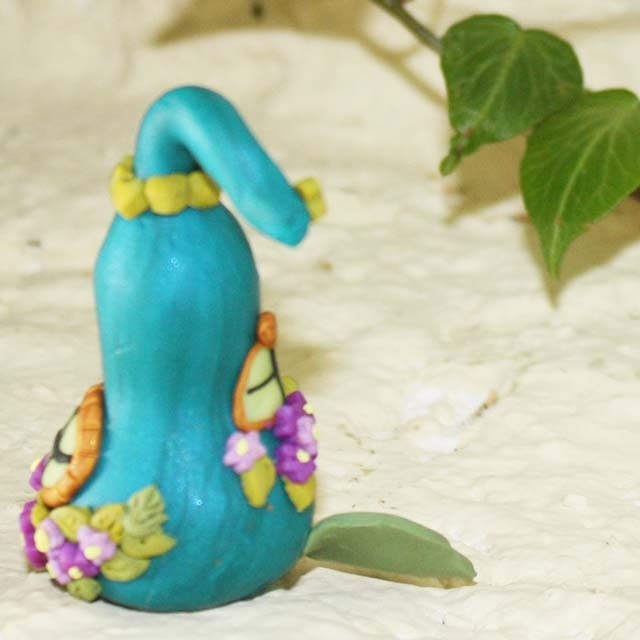 (Use a little bleach if your gourd shows signs of mold). Now you can leave it as is and paint it and glue or mold things to it. 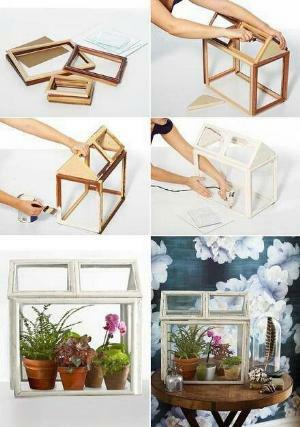 You can also cut out doorways and windows. 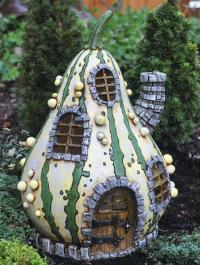 To cut into the gourd mark the area you want to cut out and use a utility knife to make an incision. A scroll saw works very well to do the rest of the cutting. Clean the seeds and pulp out of the gourd with a spoon, melon baller or what ever comes to hand. 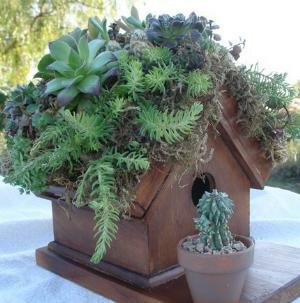 Decorate and finish off by sealing the project with white shellac or varnish. 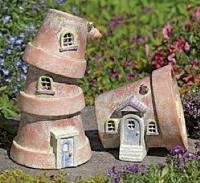 Decorating flower pots, ready made bird houses or rocks are all great ways to create your one of a kind fairy house. 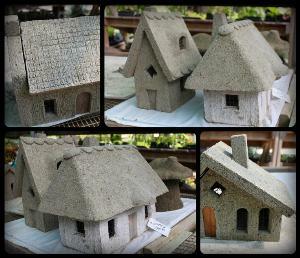 You can also experiment with hypertufa and other building materials.There is no wrong way to make a fairy house. Let your imagination go wild! 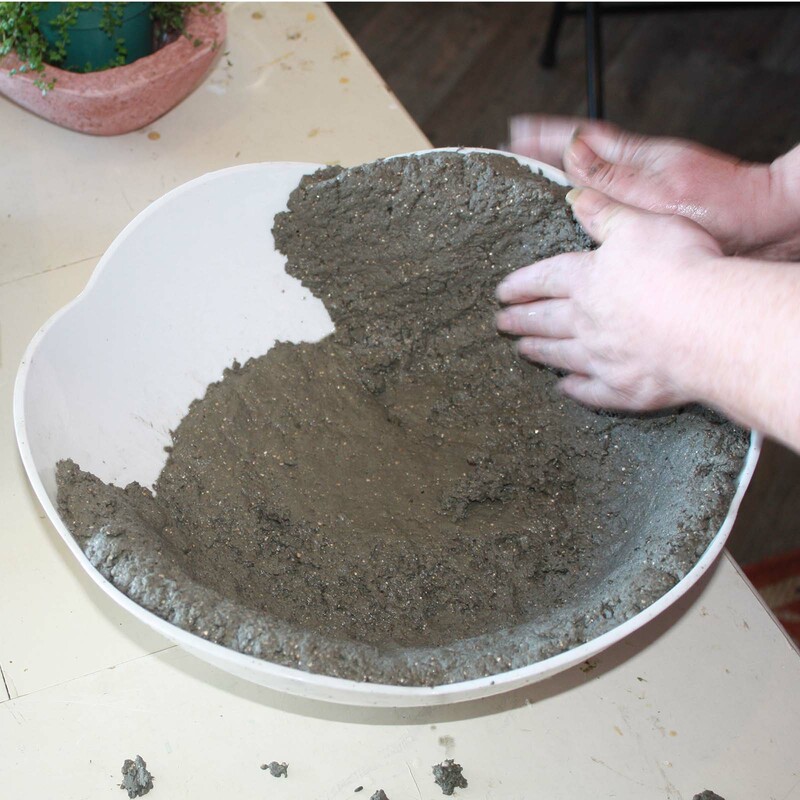 Some inexpensive materials you can use for modeling or decorating are mortar, drywall compound or stipple, wood fill, plaster of paris, pebbles and stones, twigs, miniatures and of course, paint. 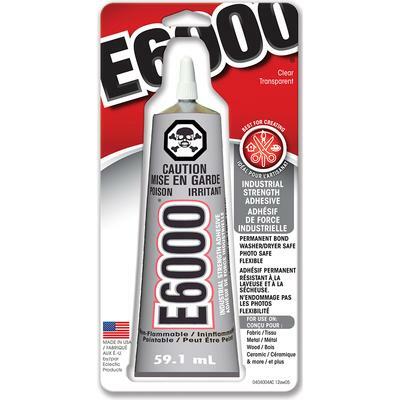 TIP: A cake decorating kit can be used with soft modeling materials to fashion creative details. 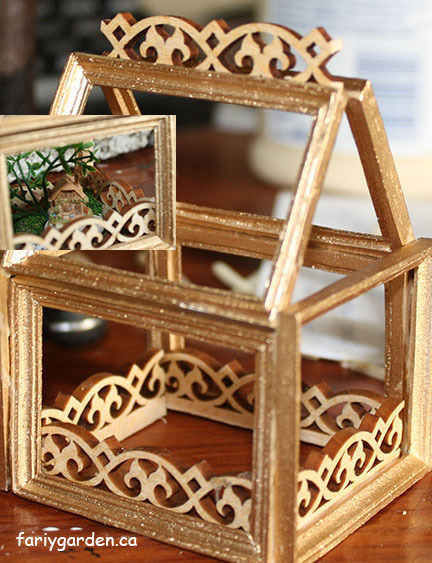 A cost effective way to build a terrarium for a fairy garden or a frame for your fairy house is to use inexpensive picture frames for construction. 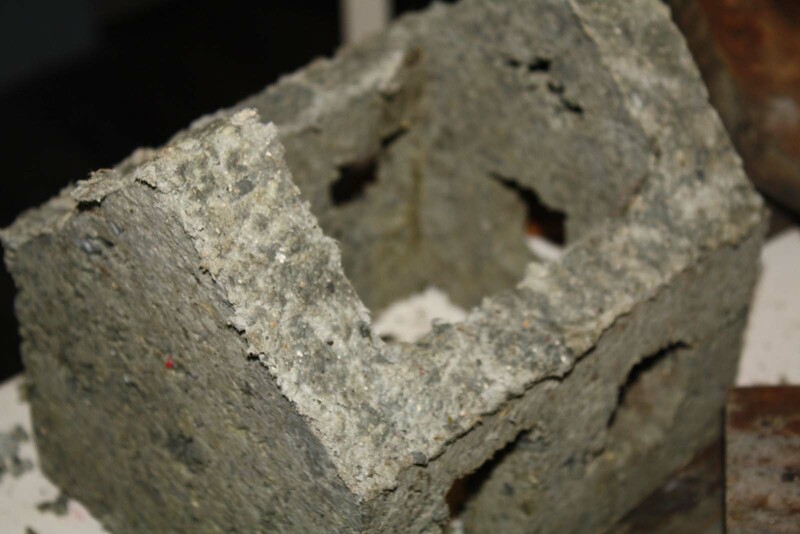 They can be glued or tacked together at the edges and hinged to each other. 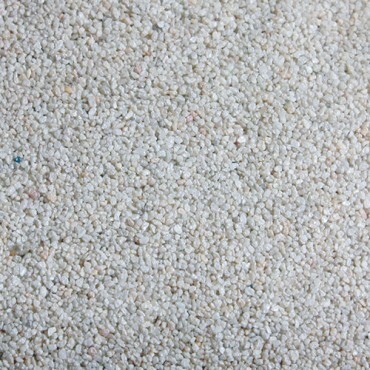 Hypertufa is a material made of cement, sand and peat moss or perlite. 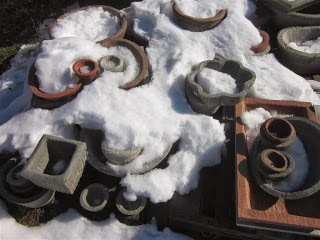 Using boxes, sand, plastic and other containers any number of shapes and items can be molded. You can find many websites dedicated to this subject. You can find a quick video here to get get started. 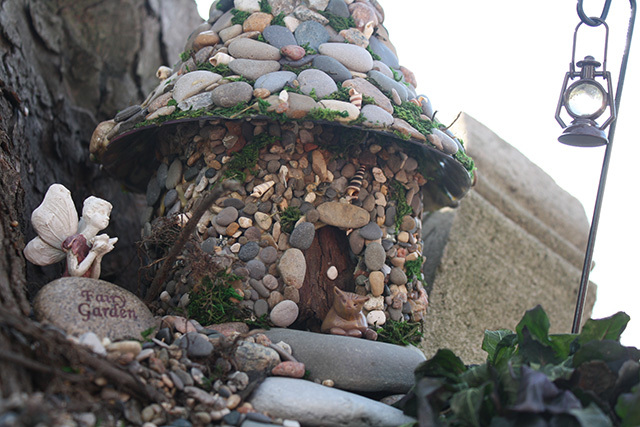 However you go about it, building your own fairy house is a fun and creative DIY project. We have a home on Pinterest too!